A Danish freight forwarder was liable for the theft of valuable LEGO toys worth approximately €110,000, because it was not proved that the loss of goods was the result of a robbery. However, the freight forwarder could limit his liability according to the CMR Convention, since the Court did not find that the goods were particularly exposed to theft. This was recently decided by the Danish Maritime and Commercial Court. LEGO had entered into contract with a major Danish freight forwarder, who was to transport a load of LEGO from the Czech Republic to England. The freight forwarder engaged a Czech road haulier to perform the carriage. During the carriage to England the driver was stuck in traffic due to tailbacks on the motorway. In order to comply with regulations in respect of driving hours and rest hours the driver had to stay the night at a nearby parking facility. The next morning the trailer tarpaulin was slit open, and goods worth approximately € 110,000 had disappeared. Subsequently, the driver explained that he had slept heavily for 11 hours, which was extraordinary for him, and that he had experienced a growing headache the day following the theft. Due to these special circumstances, the driver thought that robbers had injected some kind of narcotics into the cabin before stealing the goods. LEGO initiated legal actions against the freight forwarder as LEGO considered the freight forwarder liable for the lost goods. In addition, LEGO held that the goods were particularly theft exposed and because the freight forwarder had not taken special precautions, the freight forwarder had acted with gross negligence. Due to these circumstances the freight forwarder should be liable for the full loss without limitation of liability according to article 29 (2) of the CMR Convention. The Maritime and Commercial High Court first established that the question of exemption of liability depended on whether the goods had been lost due to theft or robbery. The Court stated that the freight forwarder had not proven that a robbery had taken place. Accordingly, the freight forwarder had not proven that the loss of goods was caused by circumstances which the freight forwarder could not avoid or prevent. Because of this the freight forwarder was liable for the loss of goods according to article 17 of the CMR Convention. 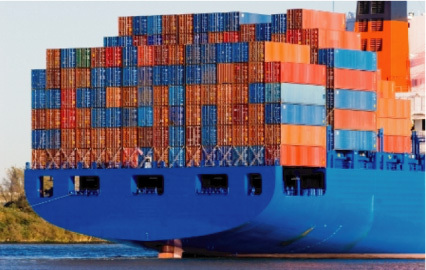 As to the question of whether the freight forwarder had acted with gross negligence the Court did not find that it had been established that the stolen LEGO should be considered as theft exposed goods or that there had been requested any security precautions in the tender documents or in the instructions. Furthermore, the court noted that the parking facility from where the goods had been stolen met the security precautions, which LEGO and the freight forwarder afterwards had agreed on. The Court also emphasized that both parties were professionals with knowledge about transport matters. Therefore, the Court established that the freight forwarder had not acted with gross negligence, and the freight forwarder was liable according to article 17 of the CMR Convention, but with a limited liability. This judgment illustrates that it may be a deciding factor that the shipper is a professional with knowledge about transport matters. If that is the case, the shipper should be aware of giving instructions about theft exposed goods and request special security precautions, if he wants a higher degree of security. The judgment also indicates how important it is to secure all relevant evidence. If the freight forwarder had been able to present blood tests from the driver showing sedative narcotics, the court might have considered a robbery proven and given judgment in favor of the freight forwarder. However, it should be noted that there is no fixed rule that a carrier is exempt from liability if it is proved that a robbery took place. In a different ruling from the Maritime and Commercial High Court from 2014, a carrier was found liable, even though the goods were lost in connection with a robbery. Considering this and previous case law, a carrier may still become liable for robbery of goods, if the goods are particularly exposed to theft, and if the carrier has not acted cautiously enough. You can read more about this in our newsletter of June 4th 2014.